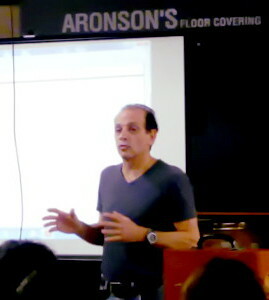 October 24th, 2014: Alan Fierstein of Acoustilog, Inc. was asked by Aronson Flooring to give a lecture on acoustics in their 17th Street Showroom. 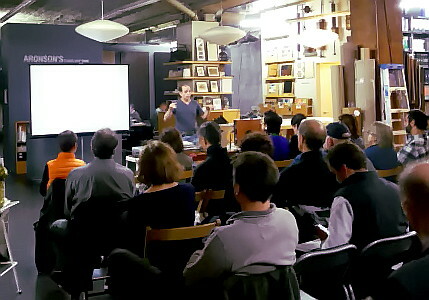 The lecture was attended by an audience of architects. 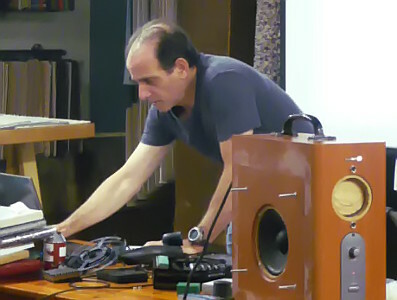 The lecture ranged from the basics of sound and sound transmission to practical applications for sound isolation. It concluded with a lively question and answer segment. We thank the management of Aronson Floor Coverings for asking us to participate.